Do you ever get the feeling (or smelling, as it were) that maybe your home might have an odor? Certainly, there are odor hot spots that can make us cringe; the bathroom, the sink, the trash can. Can you relate? 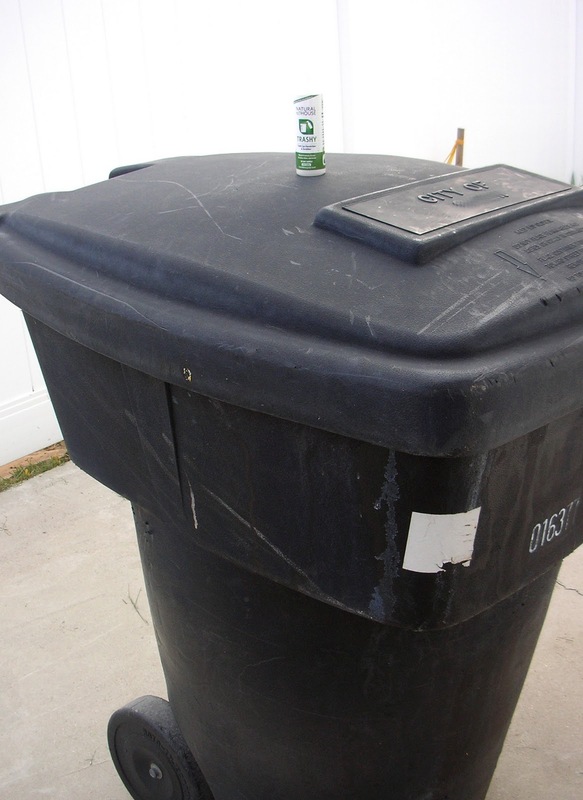 We certainly can and recently our big outdoor trash can had taken on a monstrous odor. So much so that everyone dreaded actually having to open the lid. Yes, it was that powerful. Luckily for us, Natural House had asked us if we'd like to try out their revolutionary new natural household cleaning products that clean the parts of your home you'd rather forget about. The Natural House probiotic cleaners are named Trashy, Sinky and Flushy. Clever names we thought. Heck ya, we'd love to I said! Clean that monster trash can odor? Bring it on! Could this possibly work? We set out on a month-long mission to find out. Our products use an eco-friendly cleaning method of probiotics that create a beneficial, odor eating ecosystem to naturally drive out and digest odors at their source. 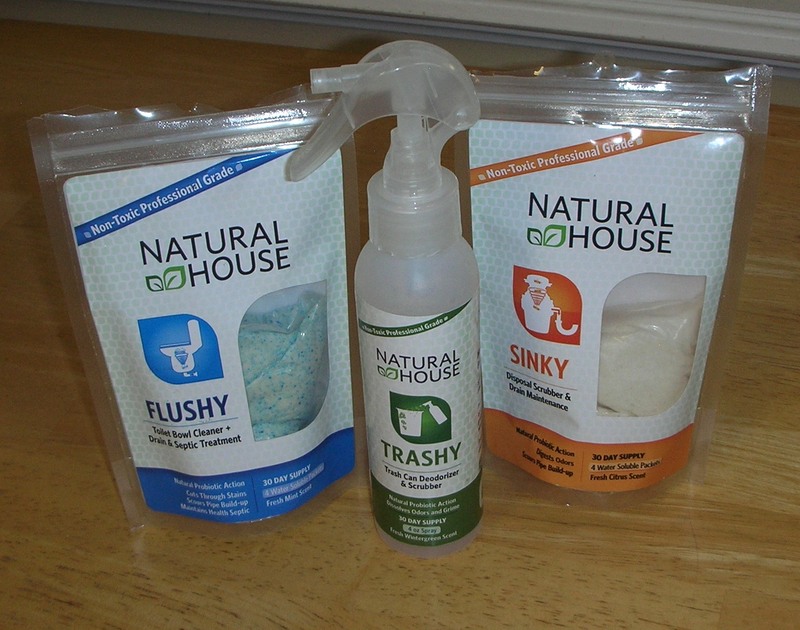 Natural House's plant-based ingredients are eco-friendly, non-toxic and biodegradable to naturally fight the toughest problems you face in your house. Our products, Sinky and Flushy even break down and digest fats, oil, grease, and solid waste to ensure your disposal, pipes, drain lines or septic tank run smoothly. Our cleaners contain good probiotics which continue to scour, clean, consume odors, grime, grease, and germs, and they continue to do so until your next weekly treatment! We earned the coveted Retailers’ Choice Award” at the 2011 National Hardware Show! The surfaces in your house are like a garden. If you don’t seed with good plants, weeds will grow. You have the same choice with your household surfaces: sanitize for a moment with harsh chemicals leaving your surface open to recontamination or seed with probiotics to continuously weed out the bad micro-organisms. Traditional cleaners “clean” a surface for a moment in time; the second the rag is finished wiping the surface, that surface is almost instantly polluted once again with ambient dust, dirt, and micro-organisms. Natural House probiotics creates mini-ecosystem on a microbial level that produces enzymes which break down odors, dirt, fats, oil, grease, food scraps, waste and toilet paper products on a continuous basis between applications. This creates a natural, clean, balanced environment that is safe for even the most sensitive members of your natural house. The action is in the foam! The foam releases the cleaning agents. The short and skinny of it is this... our natural probiotic cleaners keep on cleaning long after you've stopped! We were more than eager to get the test underway for Trashy. Each of the products comes packaged as a four week supply. 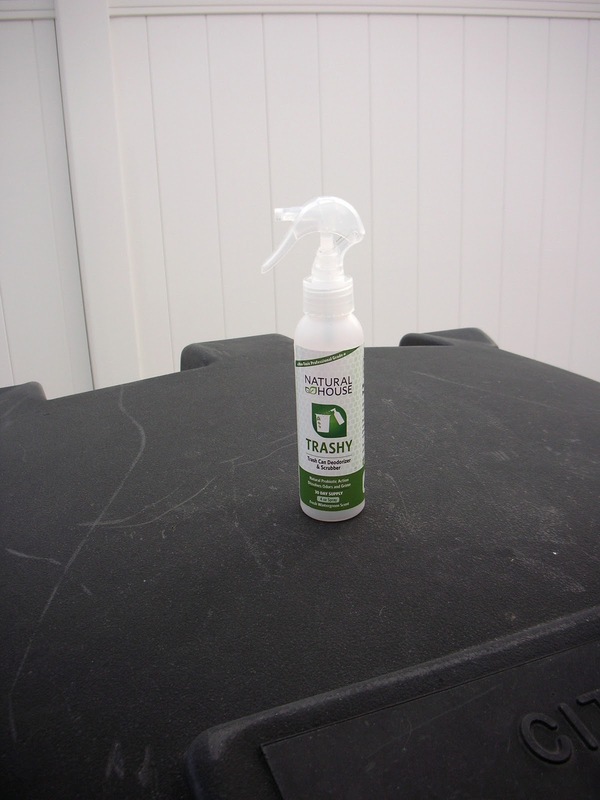 Trashy is a convenient little spray bottle with enough for 30 days, you just use 1/4 of the bottle for each application. So into the big stinky trash can we sprayed the wintergreen scented probiotics and crossed our fingers. That first week, and even the second, we really did not notice a difference. On week three the can did indeed smell a little better. Was it a fluke? Week four and everyone opening the lid started to cringe and then looked puzzled. Someone even remarked that the odor was markedly better. Success! Flushy is a nice fresh mint scent and works to clean not only your toilet bowl but also clean the drain and works as a septic treatment. Ya, I can't believe I put our toilet's photo on the internet either. Toilets are not usually a topic of conversation here at Artsy Chaos but we all have at least one I would hope! 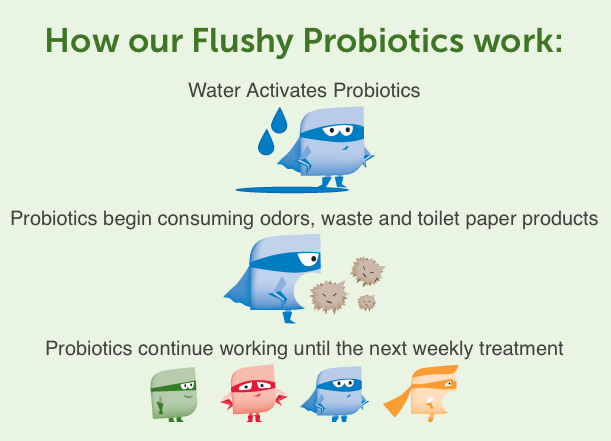 Our experience with Flushy was not as noticeable as Trashy but we're excited about the fact that it works to consume some of the gunk that might stay in the drains and pipes. 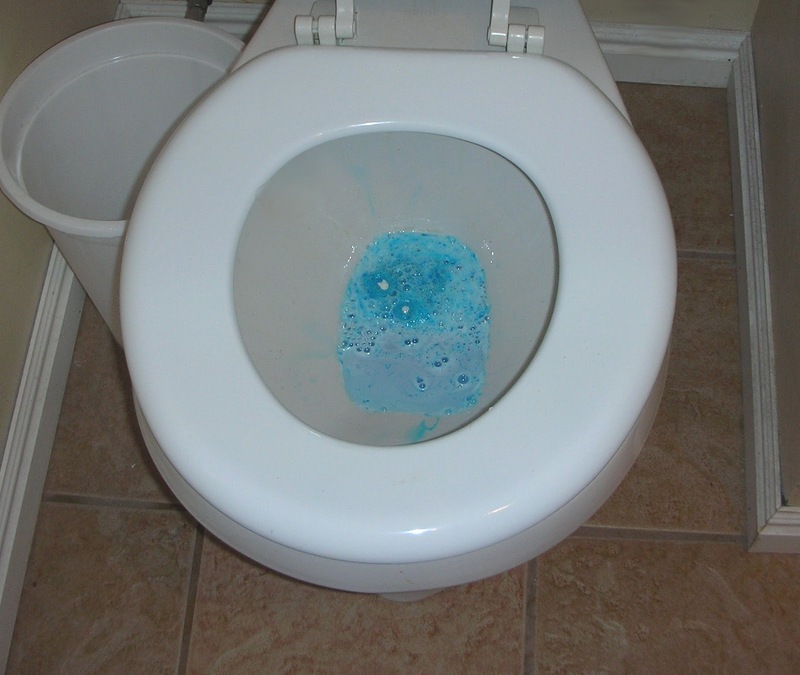 I did notice that the cleaning power of Flushy is not as strong as the regular toilet bowl cleaner that I normally use and did have to supplement cleanings during the test weeks. We were also excited to test out Sinky which is a disposal scrubber and drain maintenance probiotic cleaner. Sinky has a nice fresh citrus scent. We decided not to use it in the kitchen, but rather, in the bathroom. Our bathroom has double sinks and for some reason when you run the water the drain smells swampy or some other damp moldy type smell. Ya, gross. It's not strong but is not pleasant when you're brushing your teeth. Indeed, after just one use, Sinky helped with the swampy smell in the bathroom sinks. 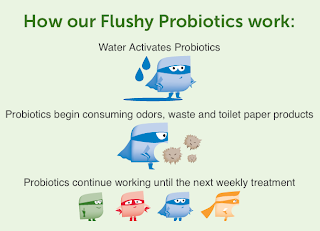 The probiotic power seems to have worked on this problem until the next weekly treatment was due and seemed to last longer progressively with each week of use. Success again! These natural household cleaning products can be purchased directly from Natural House and also at Amazon. Trashy, Flushy and Sinky each retail for $4.99. Want more information? You can visit the Natural House website and also connect with them on Facebook and Twitter. We are also thrilled to be able to host a giveaway for all 3 Natural House products. Please use the form below to enter and one lucky winner will get to try out Trashy, Sinky and Flushy in their home. If you are unable to see the form, refresh the page and that should do the trick! (Refreshing should also allow you to see the Google widget to follow if it is not showing up.) Good luck! FTC Disclosure: We received a sample of the products in this article in order to facilitate a review. No monetary compensation was received. All opinions are those of the owners and editors of Artsy Chaos. the back laundry room where the trash and kitty litter and food are. I love clean fresh smells! In the bathroom...my 2 yr old is potty training and he doesn't have the aiming part down yet! Our kitchen trash can get very smelly very quickly! We have to clean it often. My toilet. Let us just say...smelly. Like many others, my kitchen trash can really smell things up. The restroom trash cans smell awful! The smell is just so strongly penetrated into the plastic cans that it seems nothing will ever work to make it go away. Our bathroom in the basement is smelly! I can't seem to keep it smelling nice. Help!!! In addition to stinky trash, I have 'fur babies' that add to it! My dog and cat are my everything, but they can also smell up everything!!! Ahhhh! I just learned how to turn money into a really cool work of art!! Seriously, this is really cute and fun too. Foldin' Money can help you turn plain old cash into a really fun crafty gift! It's kind of like paper crafts with a real monetary value. Ha! Foldin' Money has design kits to help you make the perfect gift for anyone on your list this year. Both US and Canadian currency directions are included in these design kits. For review, we received the "red" kit which has templates and step-by-step directions for a cake, tree, heart, and tie. We found the instructions to be very, very easy to follow. Ladies, I think even your husbands could fold money into the perfect gift! Did that sound rude? Sorry Fellas! This post must be written lightening fast because I must leave soon to pick up my daughter from the high school's Sadie Hawkins dance and ferry her and her date to their next destination. How's that for a long, stressful run-on sentence full of far too many prepositional phrases.